 Viber Messenger: Text Messages, Free Phone Calls, Live Video Chats and more! 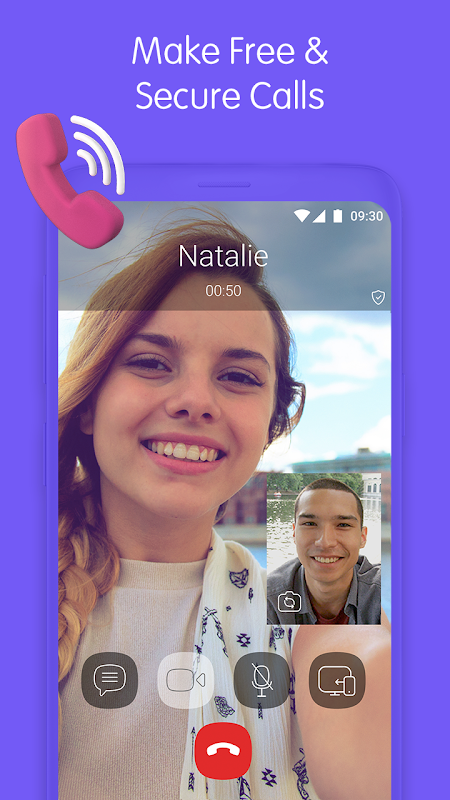 Connect for free More than 800 million users send messages and make HD-quality phone and make video calls through Viber. For free. Create group messages with up to 200 friends, share photos, videos, stickers, links and more. No registration needed. For landline and non-Viber calls, choose Viber Out. For self-destructing messaging, download Viber Wink. 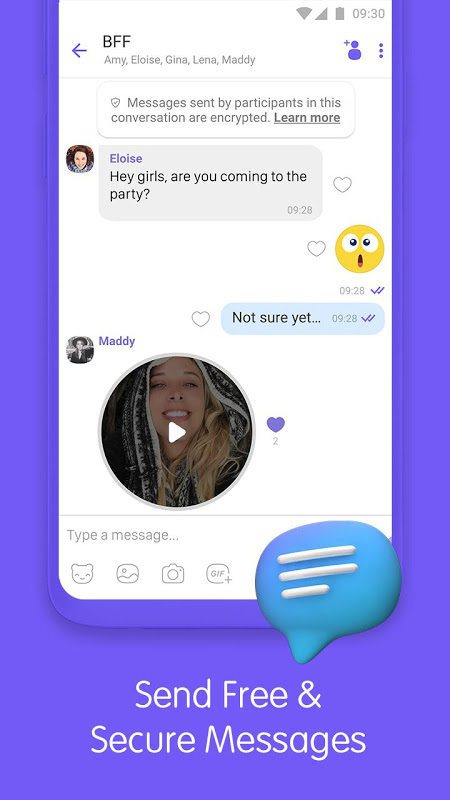 Viber is a VoIP tool that allows you to make free voice and video calls and share free instant messages with multimedia attachments. It uses your mobile number to identify you on the network and allows you to communicate using VoIP for free bypassing your mobile carrier. Viber gives you the most features for your messaging sessions, letting you add locations, audio clips, emoticons, and stickers. It also lets you make both audio and video calls and both are great quality even on a 3G connection. Viber integrates your phone’s address book and each time you decide to make a call or send a text message to a contact you are prompted to either place a regular call (or SMS) through your mobile carrier to the contact or to make the call or send the message using Viber. Before initiating anything in the event Viber is selected the number is verified to see if it is registered with Viber, as free service is allowed only to those.  Website: Viber Messenger | Viber Media Inc.
 Is Viber Messenger yours? Claim it!